Dr. Monique Allard serves as Interim Vice President for Student Affairs. She most recently served as Associate Vice Provost for Student Affairs, Student Engagement, with a portfolio that included Campus Activities, Cultural resource centers (CBCSA, APASS, El Centro, LGBT), Fraternity and Sorority Leadership Development, Office of International Services, Residential Education, Student Publications and the Trojan Marching Band. Dr. Allard has more than 20 years of experience in student support programs and services. 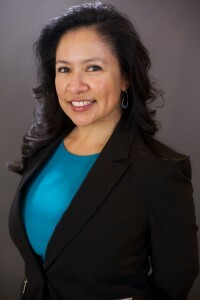 Prior to returning to USC Student Affairs, in October of 2013, she served as Executive Director for Student Support and Equity Programs at Cal Poly Pomona. She has previously been employed at California State University, Los Angeles, as the College of Education Director of Student Services, and at the University of Southern California as the Associate Director in Dornsife College Advisement, an Undergraduate Counselor in the Degree Progress Department, and an Immigration Specialist in the Office of International Services. Dr. Allard earned a B.A. in Social Work from California State University, Los Angeles, M.Ed. and Ed.D. from the University of Southern California. She also serves as an adjunct assistant professor in the USC Rossier School of Education.